I am having a major issue with my mare. She is a granddaughter of Good News Joe out of Last News. She was not started well and is now 8 and has always fallen out through her left shoulder on the right rein when on a bend or circle. 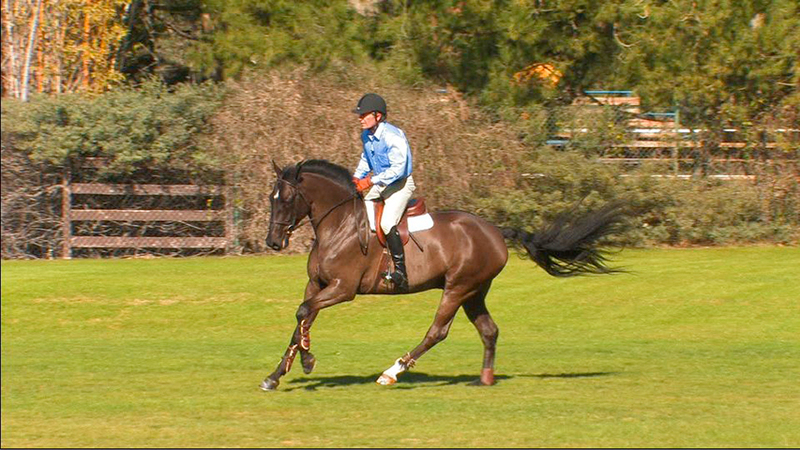 The problem is worse in canter when the speed increases. It even happens when I prepare early for my turn and look with my outside aids on. She braces her neck with inside bend, drifts to the left and it is very difficult to make the horse straight. She does have sensitivity issues with her mouth. 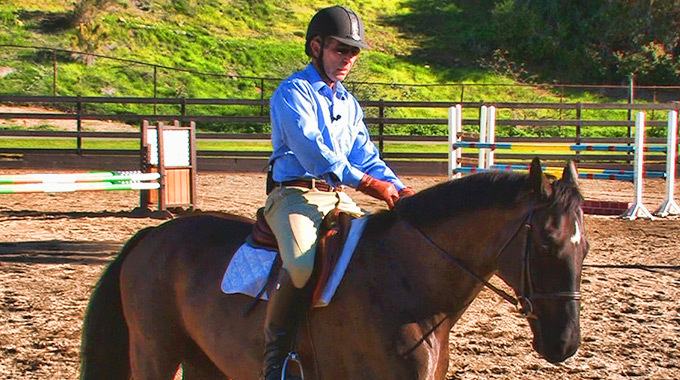 I ride in a simple snaffle bit. 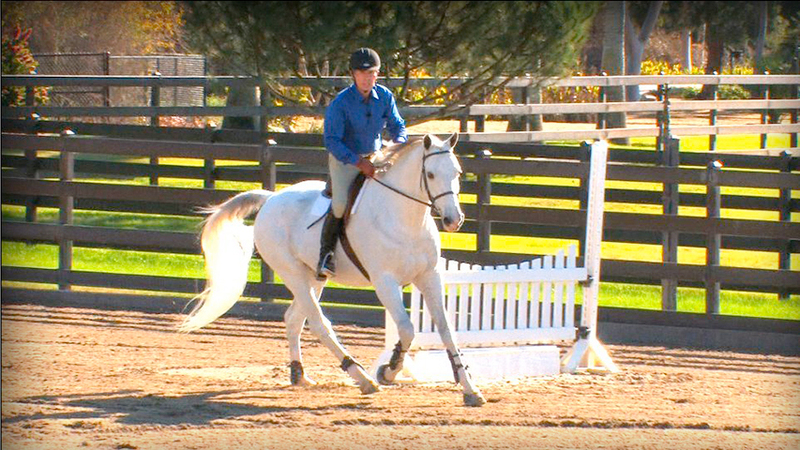 There are no issues on the left rein and she goes well between leg and hand on that side. The problem was worse today at a show as the warm up was set up for the right rein (clockwise). 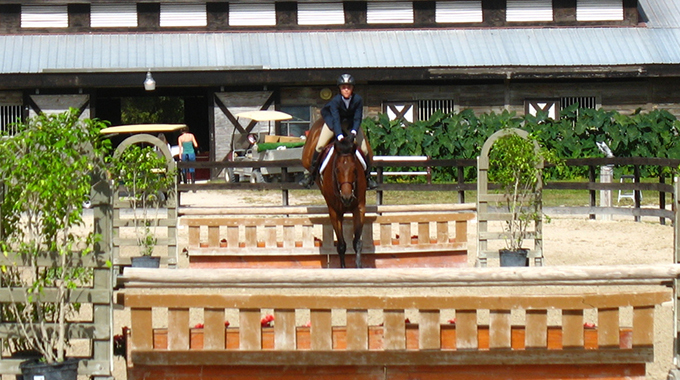 The horse gets frustrated and the warm up is then wasted. Lots of faults in my round. I have 2 flatwork lessons per week and have had the horse for 12 months. There are lots of horses with this issue and it’s usually solvable. 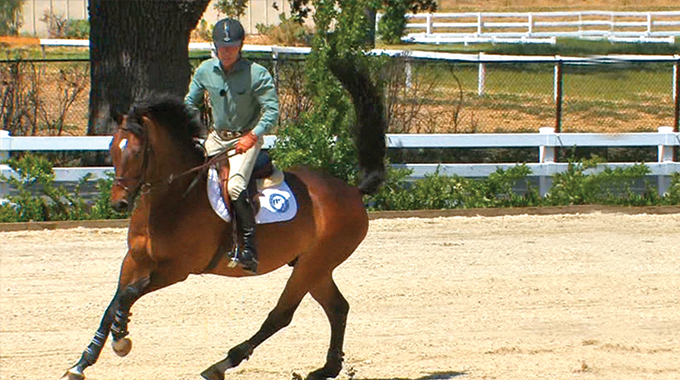 It sounds like your horse does not respond to the outside lateral aids, the bearing (neck) rein and the outside leg. 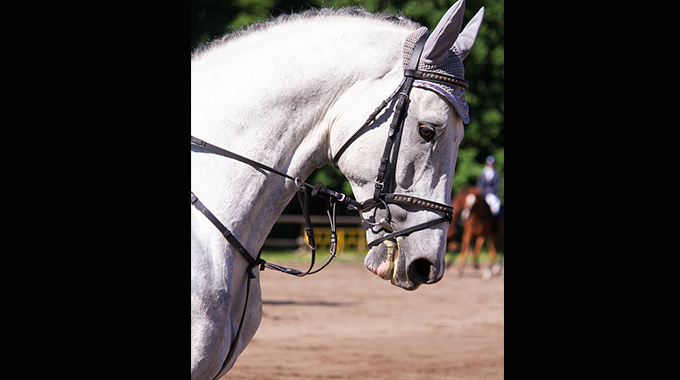 The bearing rein used against the neck on the outside directly influences the shoulders towards the inside, along with the outside leg. Sounds like she needs lots of rehearsals with these aids on the flat and over cavaletti. 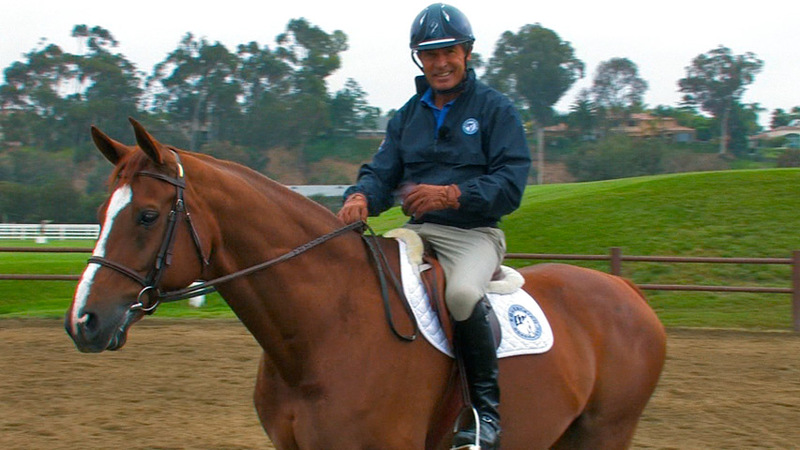 I have provided below a list of video topics that will describe how to train the horse to respond to these aids. Daily repetition of application of these aids in various places around the arena should solve the issue. 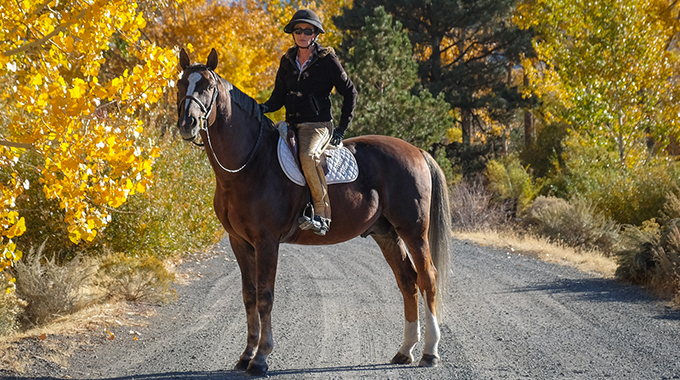 Julie Winkel gives a member an exercise to help her improve her eye and feel her horse's stride and rhythm so that she can get perfect strides in a line when the first jump isn't ideal.